Tess Taylor, Judith Ellis, Diane Cooper Smith. The Donnes hailed from Weybridge, Surrey, though Joan spent many school holidays in her boarding school where she was very unhappy. At the outbreak of the Second World War the family moved to Grevel House, Chipping Campden. Mr Donne, who had lost a leg serving in the Navy, enjoyed repairing antique china which he did in the annexe of the house that later became the Doctor’s surgery. After Mr Donne died Joan and her mother moved to Town Paddocks in Station Road which was built for them by the local firm, Wheeler and Mansell. 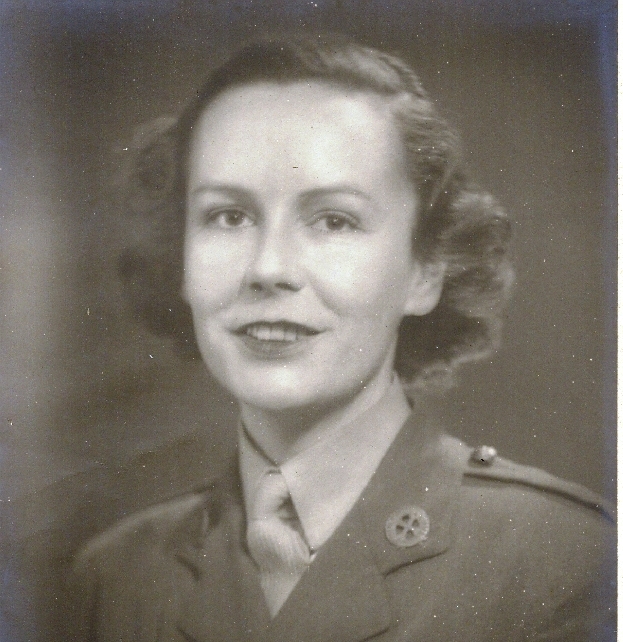 At some time during the Second World War Joan joined the First Aid Nursing Yeomanry (FANYS), who were called upon to form the nucleus of the motor drivers’ companies of the ATS. Another section was attached to the Polish army. It is thought that Joan was at different times both an ambulance and dispatch driver. 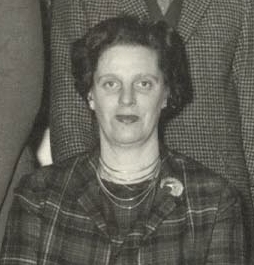 Best known in Campden for her duties on the parish council she did much stalwart work for the benefit of the town and was known to keep the other councillors in order! When the state of the public toilets in Sheep Street was brought to her notice, she rolled up her sleeves and cleaned them! Further evidence of her ‘hands on’ approach to getting a job done was when she and fellow councillor, Philip Cutts, filled several bags of litter that had accumulated in the market hall. As the autumn of 1962 approached, the time-honoured saga of Campden street lighting was raised at a parish council meeting. The Evesham Journal reporting on the meeting stated that ‘the chairperson of the council, Les Brodie and Miss Joan Donne had arranged to meet after dark in Grevel Lane.’ The readers’ minds boggled! She and Les were in fact good friends and neighbours and she extended her kindness and geniality in welcoming her new neighbours, the Twiseleton family who became life-long friends. She was a keen member of Campden Dramatic Society, in 1961 playing Mildred in Agatha Christie’s comedy thriller, ‘Spider’s Web’. Campden Girl Guides benefited from Joan’s no-nonsense approach to life when, together with Mrs. O’Loughlin, they ran the local troupe for many years in the fifties and sixties. It is also said that Joan was a Wimbledon umpire and if this was the case she would have certainly stood no nonsense from the players. Had she presided over a John McEnroe game we feel that he would have soon submitted to her authority! Following her mother’s death most days she and Josephine Griffiths met for lunch at the Lygon Arms and despite their propensity to argue they remained good friends. Previously Joan and her mother ate most weekends at the Golden Cockerel hotel in High Street, her mother a more delicate figure than Joan who towered above her. After her mother died in 1979 Joan went on several holidays, not on luxury cruises but working on cargo ships, tramp steamers, and banana boats. Despite this adventurous spirit Joan was looked after at home by a loyal staff. She wore a huge bunch of keys hanging round her neck though she pooh-poohed the idea that they displayed an invitation to would be thieves. It would have taken a brave robber to tackle Joan!